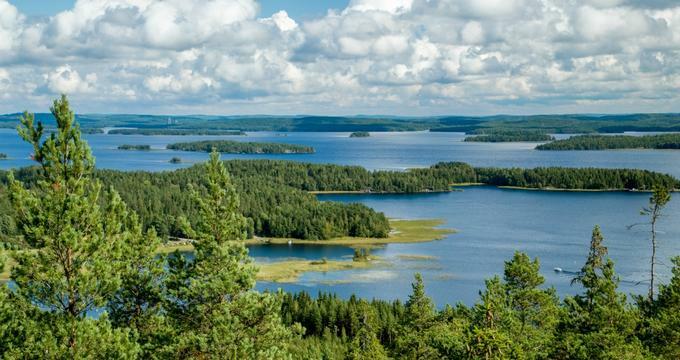 Finland is a dream vacation destination for outdoor enthusiasts, history buffs, art and architecture lovers and foodies. 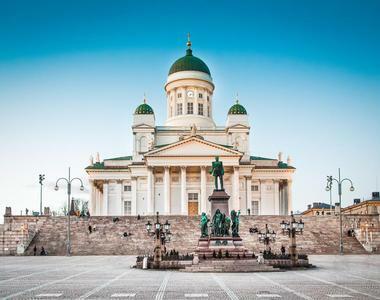 The capital city Helsinki provides a great introduction to the country and has a wide variety of activities and attractions to keep even the fussiest visitor occupied. The Finnish National Gallery offers art lovers a feast for the senses, while history and architecture enthusiasts should head to Senate Square, Helsinki Cathedral, and the National Museum. For a break from art and culture you can head north to Lapland in the Arctic Circle to see the Northern Lights and enjoy a variety of exciting outdoor adventures, including husky sledding, snowmobiling, and much more. The Ateneum Art Museum is one of the most popular art museums in Finland, located in the heart of the capital city Helsinki. Art lovers can trace the origins and progress of Finnish art from around 1890 to the 1960s at the Stories of Finnish Art Exhibition (running until 2020), which juxtaposes Finnish and other European art works. In addition to showcasing Finnish art, the museum also has a comprehensive collection of international art and hosts a series of regular events, including workshops, guided tours, and much more. To fully round-out your Finnish art journey, you should also visit Kiasma (Museum of Contemporary Art) and the Sinebrychoff Art Museum, which together with the Ateneum make up the Finnish National Gallery. If you have always dreamt of seeing the famous Northern Lights, Aurora Service Tours are there to bring your dreams to life. 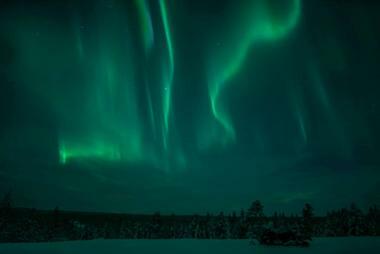 The company offers very special 4 night/5 day “Aurora Holidays” that will take you to the northern-most villages of Finland, where the air is almost completely pollution free and you have a much better than average chance of seeing the lights – the company achieved a 100% success rate in the 2016/2017 season. Your nights will be spent on exciting 3 to 5-hour light-chasing expeditions, fueled by anticipation, hot drinks, and snacks. During the day, you can select from a variety of activities including snowshoeing excursions, snowmobile trips, or husky adventures. The tours are extremely popular and you are advised to book as early as possible to avoid disappointment. Located on the west coast of Finland, Vaasa offers visitors a wide range of exciting outdoor activities teamed with interesting history, art, and architecture. Once you have worked up a good thirst you can make your way to Bock’s Corner Brewery, where a variety of craft beers have been produced since 2015. The brewery occupies a refurbished ice cellar in the heart of what was once a thriving brewery district that fell into disuse around 30 years ago. At Bock’s Corner Brewery, you can go on a guided tour and then enjoy the chance to sample some of the 20 varieties of artisan beers and ciders. There is also a shop, pub, and restaurant on site and the brewery hosts regular beer festivals and events. Heather’s Helsinki is dedicated to providing all foodies and first-time visitors to the city with an exceptionally personal way to discover the food and culture of Finland. In recent years, Helsinki has been at the forefront of the exciting “New Nordic” food movement, and joining Heather’s Fork in Hand Food Tour will give you the chance to stroll through local food markets, find off-the-beaten-track coffee shops, restaurants, and pubs and sample a variety of traditional and exciting modern Finnish delicacies. 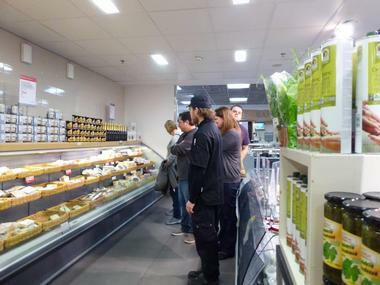 You will learn all about the origins of the foods and take away a better understanding of what to expect from your Finnish foodie experience. Heather offers her tours all year round (regardless of the weather) and you should book in advance to avoid disappointment. Occupying a commanding position on the northern side of the Senate Square, the Helsinki Cathedral has been a prominent landmark in the city’s Empire Era center since it was built in 1852. 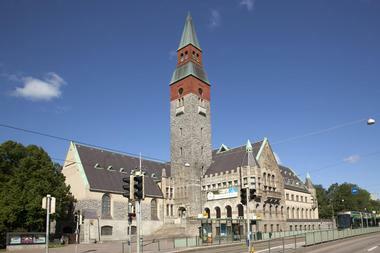 The church was designed by architect Carl Ludvig Engel and is essential viewing for visitors interested in art and architecture. The central dome of the church is supported by corner pillars and rises to a lofty height of 80 meters, allowing natural light to pour into the interior, which is based on a typical neo-classical equal-arm cross design. On the roof of the imposing church you will see 3-meter statues of the twelve apostles standing guard over the church and the city. 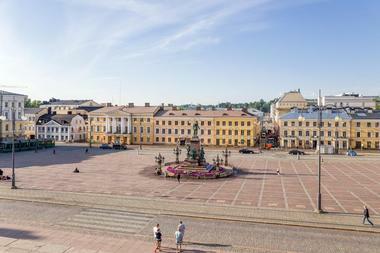 History and architecture buffs should not miss the chance to visit Helsinki’s Empire-style Senate Square, where you can admire several unique examples of neo-classical architecture within close proximity to each other. The square is dominated by the impressive Helsinki Cathedral, which is flanked by the Government Palace and the National Library of Finland. In the center of the square you will find a statue of Alexander II (1894). At the southeast corner of the square you can visit the Helsinki City Museum, which is housed in the oldest stone building in the city. Senate Square hosts a nightly sound installation at 5:40 pm, when you can listen to a musical composition that moves from one building to the next for 5 minutes and 18 seconds. A visit to the Helsinki Zoo (one of the oldest zoos in the world, established in 1889) makes a great change from the hustle and bustle of the city. The zoo is perfectly located on its own island, which is easily accessible from the center of the city by car or bus; in summer you have the added option of taking a scenic ferry ride to the island. You will be able to visit various outdoor habitats that are home to over 150 species of animals and nearly 1,000 species of plants. 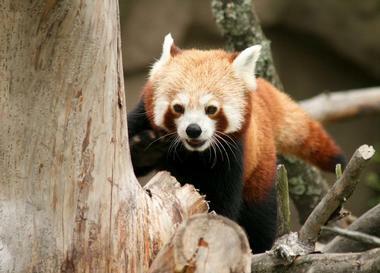 Visitors can look forward to seeing tigers and other big cats at Cat Valley as well as brown bears and Barbary macaques, among many others species. The zoo is open all year round. You can add another whole dimension of fun to your holiday in Finland when you sign up to go mushing in the high Arctic with Hetta Huskies. Whether or not you have ever sampled dog sledding before, you are in for an adventure to remember when you set off to explore the snowy wilderness inside the Arctic Circle in northern-most Finland. 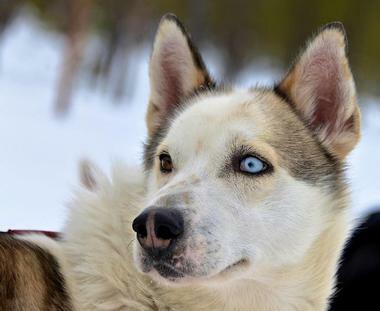 Hetta Huskies offer a variety of dog sledding options from their base, which is located 200km inside the Arctic Circle, and you can choose from a 3 to 4-hour introductory tour, a full-day trip, or even a multi-day arctic adventure up into the high tundra plateaus. It is also possible to do some night-time Aurora chasing combined with your sledding and you are welcome to visit the farm or even adopt a retired dog. Kiasma is Helsinki’s exciting Museum of Contemporary Art and is a must-see for all art lovers. The museum is housed in a controversial building designed by the prestigious American architect Steven Holl, who carefully designed the structure to maximize the use of natural light. You can admire the museum’s permanent collection and visit the regularly rotating visiting exhibitions spread out over four floors of exhibition space. To further enhance your experience, you can take a guided tour of the collection highlights on the first Saturday of the month at 2:00 pm. 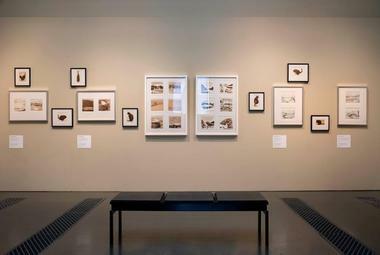 In addition to exhibits, the museum offers a range of workshops including an introduction to color workshop for babies. 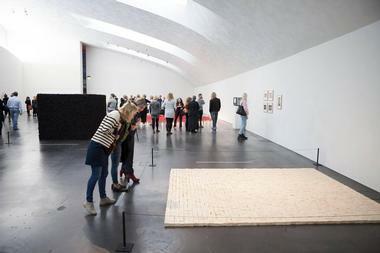 You can round off your visit by attending a show or concert at the Kiasma Theatre. Outdoor enthusiasts who are looking for something really different to experience in Finland will find a wide variety of thrilling adventures awaiting them at Lapland Safaris. Outdoor adventures include snowmobile excursions, dog-sledding adventures, ice fishing, guided snowshoeing excursions, and Northern Lights tours. In addition, you can spend a night in a real igloo in the Snow Village at Lainio or take your children on an unforgettable journey to see Santa Claus busy at his office in Santa Clause Village – arrive in style in a reindeer-drawn carriage. 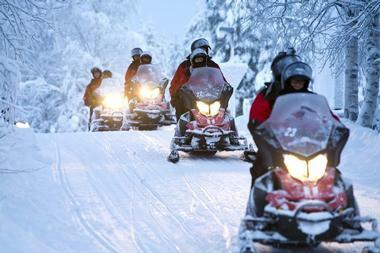 The outdoor adventures range from 1-day jaunts to extended overnight adventures into the wilderness of Lapland. 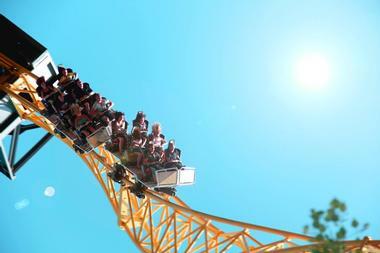 In summer the sun never sets and all the fun continues under the famous midnight sun. When you feel the need for a break from history, art, and architecture, the Linnanmaki Amusement Park is the perfect place to spend a few hours having fun in Helsinki. 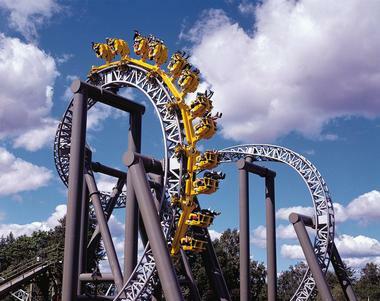 The park offers over 40 rides and games (ten of which are free of charge) and there are three themed playgrounds where the youngest visitors can have fun. During the summer season “attraction buddies” are available to accompany slightly nervous children whose parents do not wish to try the rides. There are several restaurants, treat kiosks, and cafes including an American-style diner, an Italian restaurant, and a buffet where you can fill up on just about any kind of food. The park is easy to access by tram, bus, or train from central Helsinki. The Mannerheim Museum is located in the Kaivopuisto district of Helsinki in an historic building dating back to 1874 (formerly known as the Boman Villa), and will particularly appeal to lovers of military history. The museum showcases the life of Gustav Mannerheim, who was a cavalry officer in Russia and a wartime Finnish commander, and the permanent exhibits include a military medal collection and photographic records of his perilous 1906–1908 journey across Asia on horseback. Aside from the exhibition rooms on the lower floor, the remainder of the home has been carefully preserved just as it was in the early 1940s. You can visit the museum on Fridays, Saturdays, and Sundays and guided tours are available. The National Museum of Finland is a must-see attraction for all visitors to Finland and will give you an essential insight to the history of culture of the country. 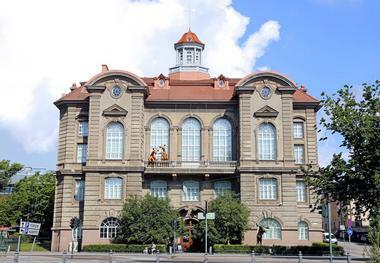 The museum was built between 1905 and 1910 and the impressive interior offers architecture enthusiasts a glimpse into the prevailing architectural styles of the time. Here you can delve into Finnish history from medieval times to the 19th century as you take a guided tour of the museum’s permanent collection, which is currently divided into three departments, with a new pre-historic exhibition planned to open in spring 2017. The innovative Workshop Vintii – Easy History is an interactive exhibition where you can build a log house, try to weave a rug, and harness a horse. 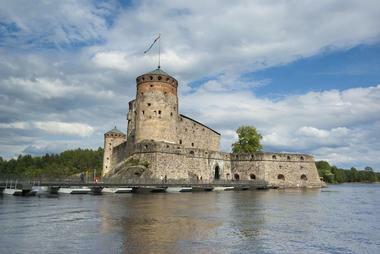 Making a pilgrimage to the far north of Finland to visit Olavinlinna Castle (St. Olaf’s Castle) in Savonlinna will reward you with the rare opportunity to see one of the oldest (and the northern-most) standing stone castle in the world. Construction of the three-tower castle commenced in 1475, when it became evident that a strong fortification was required to protect the region from Russian attacks. History and architecture buffs will be able to document how successive generations of owners influenced the varied architectural styles. You can explore the halls, rooms, and towns on a guided tour (offered throughout the year), which will bring to life the history, romance, and legends of the ancient castle. Children will enjoy the “Little Duke’s Hall” workshops, and there is a gift shop and restaurant on site. Visiting the Ranua Wildlife Park in southern Lapland is an ideal way of getting to know the many fascinating animals that are endemic to the Arctic Circle. 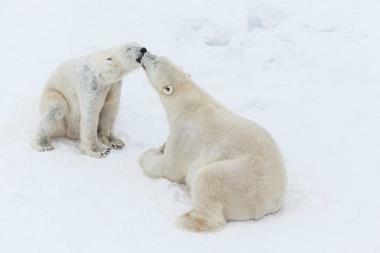 The 200 animals, which include the only polar bears in Finland, are kept in spacious enclosures set in natural forests and woodlands, which mirror their natural environments as closely as possible. You can tour the park at your own pace with a rented audio guide or go on one of the guided tours. For some added excitement you can join a guided Midnight Sun Tour in summer or a Wild Night Safari in winter. Camping enthusiasts can spend a night in the Ranuazoo campground and there is also a variety of other accommodation options close to the park. You can make your children’s fairytales come true when you bring them to visit the world’s most popular character in his home town in Lapland. 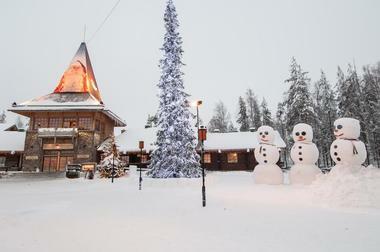 The Santa Claus Village is located in the Arctic Circle at Rovaniemi and gives all visitors the chance to meet Santa Claus on any day of the year. You can see him hard at work in his office, where he has to attend to millions of letters each year, as well as buy some unique Christmas stamps, cards, and gifts at the Santa Claus Main Post Office and visit the marvelous Christmas House exhibition. From there you can move on to Santa Park to meet the elves and help with their daily chores. Children will love the husky sled rides, snowmobiles, and reindeer-drawn carriage rides. Located in Tempere in southern Finland, Sa¨rka¨niemi is essentially an amusement park, but it also incorporates an aquarium, children’s zoo, planetarium, and an observation tower to ensure endless fun. There are dozens of rides for all ages and when you need a break from the adrenalin rush you can take a lift up to the viewing deck of the observation tower for sweeping views of the city and its surrounding lakes and forests. Younger visitors will love meeting real animals in Doghill and riding the Candy Carousel and the Whirley Worm, while daredevils will want to head straight to the Half Pipe, High Voltage, and Hurricane rides. Foodies can enjoy gourmet cuisine together with wonderful views in the rotating Na¨sinneula Restaurant. 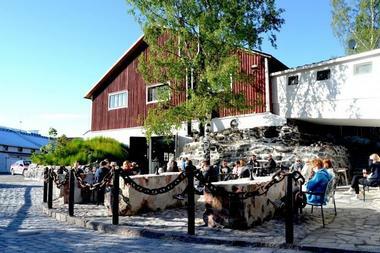 Seurassari is an open-air museum located on a quiet and tranquil island in the center of Helsinki. 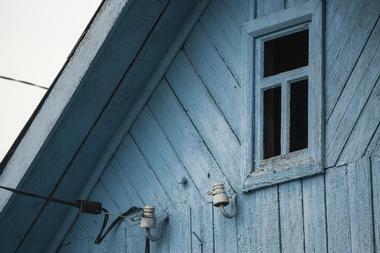 The museum consists of a collection of 87 authentic homes and other buildings which have been collected from all over Finland and re-constructed on the island to give visitors a glimpse into Finnish life from the 18th to the 20th centuries. If you visit between June and August, you can join the guided tour (in English) every afternoon at 3:00 pm, and many of the structures are manned by guides in period costume. 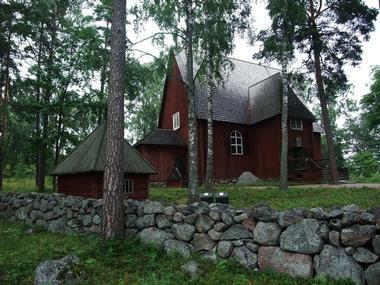 A few of the highlights of the museum include the Antii Farmhouse (1820’s), the Lisalmi Parsonage (1798), and the Karuna Church, which is the oldest building and dates back to 1686. 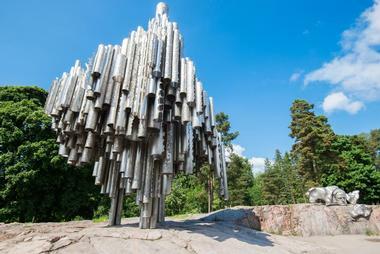 The Sibelius Monument is an impressive and controversial sculpture dedicated to the memory of the Finnish composer Jean Sibelius (1865 – 1957) and is a must-see attraction for all art lovers. The design (a wave-like compilation representing music) came about as the result of a competition won by sculptor Eila Hiltunen and took more than four years to complete. When you stand before the enormous stainless steel construction (10.5m x 8.5m x 6.5m), which was far ahead of its time back in 1961, it is easy to understand why the installation caused great controversy between conformists and modernists. Today, the monument is a source of national pride and visitors come from near and far to admire the silvery pipes as they reflect the changing seasons and sigh in the gentle sea breeze. 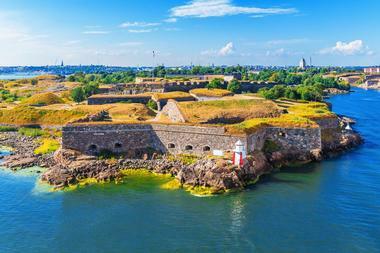 Construction of the Suomenlinna maritime fortress began in 1748 on a group of seven islands that today form a district of the city of Helsinki. 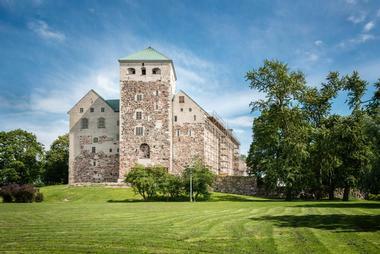 The site was awarded UNESCO World Heritage status in 1991 as a unique example of maritime architecture and deserves a spot on every visitor’s Helsinki itinerary. History and architecture buffs will particularly enjoy learning about the distinguished background and unusual construction of the fortress, which is spread over seven small islands. You can explore the site on foot along the Blue Route walking trail, which includes all the highlights – guided tours are available. There are six museums on site, some of which only open in summer. Highlights of the visit include the Dry Dock, the Great Hall, and the Suomenlinna shipyard. 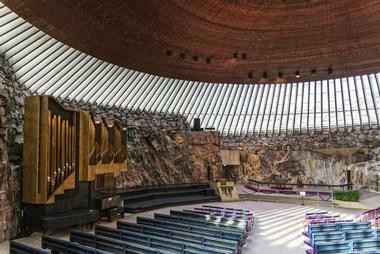 In stark contrast to the majority of the historic buildings of Helsinki, the Temppeliaukio Church (Rock Church) stands out as a wonderful example of modern architectural methods. This unique structure was carved out of solid rock and the interior walls have been left rough and unadorned to bear testimony to the laborious process. Architecture enthusiasts should not miss the opportunity to admire the huge copper-lined dome, which rests on the hewn rock walls, supported by reinforced concrete beams. Try to visit around noon when a series of cleverly placed skylights between the rock walls and the dome bathe the church hall in natural sunlight. The church has splendid acoustics and is a popular concert and wedding venue. Turku Castle is an impressive historic fortress that was built over 700 years ago on the banks of the River Aura in southwestern Finland. The castle you see today has had a very interesting past and has been used as a defense fortress, a grand hall, an administrative building, a barracks, and even as a storehouse. Today’s visitors are treated to a glimpse of the grandeur of the past as they walk through the elegantly furnished halls and chambers on either a guided tour or a self-guided audio tour. Children can have fun in the Children’s Castle, where they can dress up in period costumes and armor and step back in time to the days of knights and maidens, visit the mini court, and explore the Elf’s Treasure Chamber. 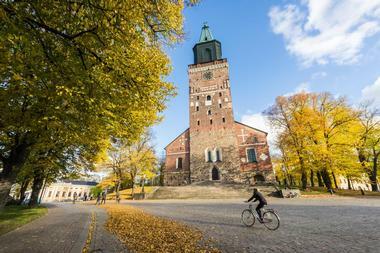 Turku Cathedral is the home of the Evangelical Lutheran Church of Finland and one of the most popular tourist attractions in the city of Turku. The cathedral is really old and was first consecrated in 1300, which explains why it is considered a national treasure and is revered by all. In the south gallery of the church you will find the Cathedral Museum, which houses an important collection of church silverware from the Catholic Middle Ages as well as many other ecclesiastical artifacts dating from the early 1400s to the current century. If you visit at noon, you will hear the famous bells chime the hour, an event which is broadcast on Finnish radio stations. Round off your visit at the church shop or the café. 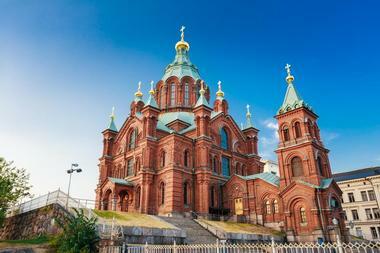 Anyone interested in art, history, and architecture should not leave Helsinki without visiting the lovely Uspenski Cathedral located on the Katajanokka peninsula, just 9 minutes by tram from central Helsinki. The cathedral is the largest Russian Orthodox Church in Western Europe, built between 1862 and 1868 in the Romanesque Revival style, complete with 13 green and gold onion domes, which represent Jesus and the twelve apostles. The exterior of the church is built of dark red bricks, which provides a stark contrast to the gleaming cupolas. Inside the cathedral, you can admire a fascinating display of orthodox decorations that include many icons and elaborate chandeliers suspended from the vaulted ceiling.